Need a huge growth in you business? Then, establishing a very impressive and professional presence on the extensive www is a sure way of obtaining that. Now, this is exactly where Chromium IT Solutions can effectively help you out. Chromium IT Solution is ultimately dedicated to offering you a unique Identity and Branding, capable of skyrocketing your business enterprise from a hitherto oblivion enterprise to a colossal force to be reckoned within the business world. This will ultimately give you an edge over other competitors, who may even be larger than you. With the provision of an amazing Identity and Branding, Chromium IT Solution will surely bring success to your very doorstep. As a business owner, one important thing you must know is that your Identity as well as Brand, really talks a lot about you and you business. Yeah, it talks more about you than that logo on the left-hand or right-hand side of your website. So an effective Identity and Branding strategy can create a great first impression on end users, and to candid, this is very paramount to the success of your business enterprise. 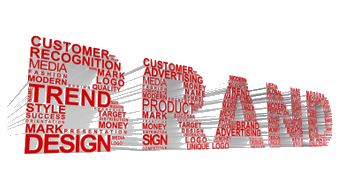 Hence, Brand and Identity is not just another irrelevant jargon, but a truly professional representation of the company’s core value. So, just like your initial capital, or even your skilled workforce, Brand and Identity, if well designed, is an investment capable of keeping your business afloat. Yes, both must definitely be well designed to accomplish this objective as creativity is the driving force of dynamism. A fastidious Brand and Identity design provided by Chromium IT Solutions expose the uniqueness of your company and subsequently earns you the admiration and patronage of a huge number of customers. And you know the final result – an eventual successful business career for you. Chromium IT Solutions is absolutely dedicated to a proficient presentation of your unique enterprise to the outside world, exposing your core values in the process. To achieve this crucial goal, we at Chromium IT Solutions, employ multidisciplinary strategies that involve our business artists and copywriters as well as you and your staff joined in a collaborative session. Actually, this interaction with you and your group is very essential for eventual provision of an Identity that illustrates your personality flowing through the visual, auditory and written content of your site. Such exposition enables your customers to know who you really are, what you offer and your capability. Now, when the customers know all these, colossal patronage and business success will be at your business doorstep. That’s exactly what Chromium IT Solutions offers.